FAIRBANKS, CHARLES RUFUS, lawyer, politician, office holder, judge, and entrepreneur; b. 25 March 1790 in Halifax, son of Rufus Fairbanks and Anne (Nancy) Prescott; d. there 15 April 1841. Charles Rufus Fairbanks was born into Halifax’s commercial gentry. His father had come from New England to Halifax in the mid 1780s to enter a family business begun by an uncle in 1749, and there he married the daughter of a prominent merchant. Three of his five sons were to become merchants, while Charles Rufus and Samuel Prescott* chose the law. Charles received his education at the Anglican King’s College in Windsor and the Roman Catholic Séminaire de Québec. Returning to Halifax, he studied law under Simon Bradstreet Robie*. In 1815, four years after his admission to the bar, he married Sarah Elizabeth, the daughter of William Lawson, a leading merchant and politician. Six of the thirteen children born to them survived into adulthood and their marriages, combined with the business and marriage partnerships negotiated by Charles’s siblings, placed him firmly within the “family compact” which dominated Halifax society through the first half of the 19th century. Social connections, plus a reputation for eloquence, provided the foundation for Fairbanks’s public career, which began in 1823 when he contested a by-election in Halifax Township. After a bitter fight with John Young, Fairbanks won, largely because the Halifax business élite wanted a representative who would defend their interests against attack by outport members. Fairbanks quickly emerged as a leading figure within the House of Assembly and for over a decade used his influence to champion the aspirations of Halifax capital. He advocated low tariffs on imported food-stuffs, subsidies for the fishery, incorporation of limited-liability business enterprises, inauguration of a transatlantic steamer service, and curtailment of outport trade with foreign powers. Fairbanks’s performance was influenced in part by concern for his own investments. Through the 1820s and 1830s he became involved in grist-and sawmilling, marine insurance, whaling, coal mining, and land speculation. Fairbanks’s reputation as an entrepreneur rested primarily on his commitment to the Shubenacadie canal project. Since the 1790s Halifax interests had been urging construction of a water-way to link their port with the Bay of Fundy and thereby challenge Saint John, N.B., for control of Nova Scotia’s hinterland [see Isaac Hildrith*]. Finally, in 1826, during a boom in the local economy, a company was formed to build an 8-foot-deep canal over 54 miles, following the Grand Lake-Shubenacadie River system. Total cost was placed at £60,000, the major engineering challenge involving construction of several locks to overcome the drop of 69 feet between Grand Lake and Halifax Harbour. Fairbanks, the company’s secretary-treasurer, became principal spokesman for the project within the assembly. Arguing that the canal would function as “a great public road,” he persuaded a somewhat dubious house to grant the company a charter of incorporation, a subsidy of £15,000, and a guarantee of a five per cent return on company stock. Work began that summer on the most ambitious public works project in Nova Scotia before the railway era. Francis Hall, a Scottish engineer, supervised construction, and Fairbanks assumed responsibility for finances. Costs quickly exceeded estimates and, after failing to win legislative approval for a scheme whereby the canal company would issue its own paper money, Fairbanks departed for London seeking additional working capital. His negotiations through 1829 and 1830 proved remarkably successful. Private investors agreed to buy some £27,000 in company stock and the British government came forward with a loan of £20,000, secured by a mortgage on the canal property. The comment by William Blowers Bliss* that Fairbanks had “bamboozled the John Bulls” was prophetic. Construction halted in the winter of 1831–32, funds having been exhausted by engineering blunders, frost and flood, absconding contractors, and a riotous work force. With £80,000 spent, the project remained far from complete. Assembly critics led by John Young held Fairbanks responsible for the débâcle, but he refused to admit error. Moreover, he retained his enthusiasm, to the point of investing £1,500 of his own money for surveys designed to prove the canal’s viability. His lobbying through the 1830s failed to achieve a resumption of construction but did win him widespread praise as a man of “untiring industry and indomitable perseverance.” In the 1850s one of Fairbanks’s sons, a civil engineer, supervised completion of his father’s dream. Another son bought the works in 1870 in the mistaken belief that a canal could compete with railways. Thus for some 50 years the Shubenacadie canal was bound up with the destiny of the Fairbanks family. Fairbanks also attracted attention as an advocate of political reform. Raised as an orthodox tory, he gradually acquired enthusiasm for such innovations as compulsory mass education, reorganization of the public accounts, incorporation of Halifax as a city with elected officials, and negotiation of a civil list settlement giving the assembly control over public revenues. In private correspondence he went farther, advocating a purge of sinecurists from the colonial administration and broadened representation within the Legislative Council, with members to serve fixed, rather than life, terms. Fairbanks also urged London to reorganize the Executive Council by replacing bureaucrats with entrepreneurs and leading assemblymen. These changes would not have introduced democracy but did reveal Fairbanks to be in touch with the currents of change and ready to sacrifice tradition for the sake of efficiency and material progress. Despite this arrogance and assertiveness, Fairbanks long remained a popular figure. His absence in Britain during the fierce legislative squabbling in 1830 over the assembly’s power of the purse had proved convenient for his reputation. During the wrangling over incorporation of the Bank of Nova Scotia two years later and the subsequent controversy about making bank paper convertible into specie, Fairbanks shrewdly avoided identification with any faction. When prosperity gave way to hard times in the mid 1830s and spawned demands for radical change, he argued that Nova Scotia needed not constitutional innovation but rather loans from Britain to finance a large-scale program of public works. Eventually, however, Fairbanks became a target for the reform movement. An initial provocation was provided by his delay in resigning from the assembly following his appointment to the judiciary. 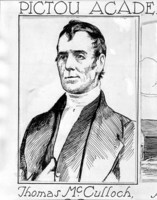 This conflict of interests provoked a protest rally in Halifax which turned into a generalized attack on the “family compact.” The shift within public opinion was reflected in the fact that Hugh Bell*, Fairbanks’s eventual successor in the assembly, rejected whig compromise in favour of the more sweeping changes that would be associated with the campaign for responsible government. Shortly after taking control of the assembly in the election of 1836, the reformers resumed their attack on Fairbanks, this time focusing on his judicial position. The Vice-Admiralty Court had long been unpopular for the high fees it charged litigants, and the assembly passed a bill to deny the court jurisdiction in cases involving disputes under £20. In his appeal to London to have the legislation struck down, Fairbanks noted the class bias inherent in the assembly’s action. The change would effectively transfer disputes over seamen’s wages to the lower courts, where merchant magistrates could be relied upon to find on behalf of their fellow employers. 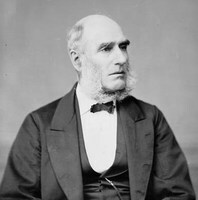 The controversy, eventually decided in favour of Fairbanks, confirmed his alienation from the dominant trend in provincial affairs. Despite his political eclipse, Fairbanks retained influence in London. Such were his connections that he was one of the few colonials to be admitted to Westminster Abbey for Queen Victoria’s coronation. In Halifax he enjoyed status and comfort. His judicial income exceeded £650 per year and he held property valued at about £13,000. At the same time, he incurred major expenses in maintaining a large household (15 as of 1838), serving as a governor of King’s College, and acting as a prominent member of the Halifax Turf Club. His library, worth £500, was one of his principal indulgences. In addition to law books, it held works of fiction, poetry, theology, history, and travel literature and a large collection of books and periodicals on chemistry, physics, and engineering. Halifax County Court of Probate (Halifax), Estate papers, no.126 (C. R. Fairbanks) (mfm. at PANS). Halifax County Registry of Deeds (Halifax), Deeds, 64: f.154 (mfm. at PANS). PANS, MG 1, 979, folder 7, no.23; 1596, no.4; 1599, nos.1–2, 4, 8–9, 11, 13, 15, 26, 34, 36; 1604, no.25; MG 2, 728, nos.504, 514, 543; MG 9, 79: f.14; MG 100, 140, no.40; RG 1, 115: f.87; 228, no.124; 289, nos.122–23; 295, no.51; 312, no.86; 314, nos.27, 83; RG 2, 45; RG 40, 11, no.23; 13, no.25. PRO, CO 217/149: 308; 217/151: 130; 217/154: 145, 368; 217/159: 183; 217/168: 108, 110, 118, 124, 205; 217/172: 96. [Charter of the Shubenacadie Canal Company with list of shareholders and act of incorporation (Halifax, 1826)]. N.S., House of Assembly, Journal and proc., 1824–35. Acadian Recorder, 1 April 1815; 15 Feb. 1822; 30 Aug., 13 Sept. 1823; 25 Feb., 11 March 1826; 9 March 1839. Colonial Patriot, 28 May 1828. Halifax Morning Post & Parliamentary Reporter, 20 April, 13 July 1841. Novascotian, 12 March 1825; 11 Feb., 1–8 April 1826; 22–29 March 1827; 20 March 1828; 18–25 March 1830; 1–8 March, 19 April 1832; 7 March, 12 Dec. 1833; 23 Jan., 27 March, 29 Dec. 1834; 8 Feb. 1838; 17 Sept. 1840; 22 April 1841. Nova-Scotia Royal Gazette, 26 Feb. 1798, 21 April 1841. Times (Halifax), 20 April 1841. Belcher’s farmer’s almanack, 1824–40. W. E. Boggs, The genealogical record of the Boggs family, the descendants of Ezekiel Boggs (Halifax, 1916). Directory of N.S. MLAs. L. S. Fairbanks, Genealogy of the Fairbanks family in America, 1633–1897 (Boston, 1897). Barbara Grantmyre, The river that missed the boat (Halifax, 1975). R. V. Harris, The Church of Saint Paul in Halifax, Nova Scotia: 1749–1949 (Toronto, 1949). Murdoch, Hist. of N.S., vol.3. 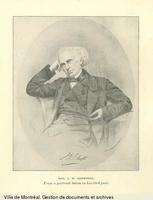 David A. Sutherland, “FAIRBANKS, CHARLES RUFUS,” in Dictionary of Canadian Biography, vol. 7, University of Toronto/Université Laval, 2003–, accessed April 24, 2019, http://www.biographi.ca/en/bio/fairbanks_charles_rufus_7E.html.